Things to do in July! Rock Oyster Festival is one of the leading artisan food festivals in Cornwall and takes place at the stunning Dinham House overlooking the Camel Estuary near Wadebridge. With food, music and arts there is lots to see and do! Each year people enjoy two exhilarating weeks of the very best in opera, music, and exciting events in the small picturesque town of Budleigh Salterton, near to Exeter. Visit the website for more details. Wareham Carnival returns for 2017 with fun for the whole family. There is lots to do from Flower & Craft Shows to Processions! Taking place at Kennards House near Launceston, this annual show is a mix of agriculture, crafts, local produce and stands. There’s lots to do for all of the family! View the South West from above this Summer! 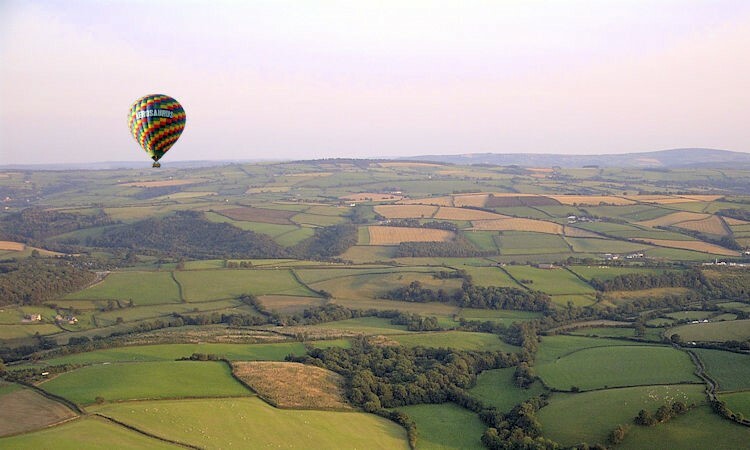 Book your Champagne Balloon Flight with Aerosaurus Balloons and choose from multiple locations across the South West. Prices start from just £99 per person.